The Securities and Exchange Commission has proposed that investment advisors be required to have in place contingency plans to ensure business continuity, Reuters writes. The rule would require that advisors have detailed procedures on minimizing disruptions to their services as a result of natural disasters, key staff departures, technology failures and cyber-attacks, as well as limiting or closing the business entirely, according to the newswire. This entails having procedures for the maintenance and safeguarding of data, availability of alternative work locations, continuity of communications and assessment of third-party service providers, Reuters writes. The plans would have to be reviewed annually by the advisors, according to the newswire. The rule would allow for customization of the plans to fit the firm's specific type of business model, Reuters writes. 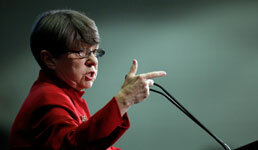 Mary Jo White, chairwoman of the SEC, acknowledged in a statement that advisors may not always be capable of thwarting disruptions to their businesses, but stressed that preparation and advanced planning can minimize both the probability of a disruption happening as well as its adverse effects, the newswire writes. Around 70% of advisors currently don’t have contingency plans for their firms or their clients in case they die or are otherwise unable to carry on their business, according to a recent survey by SEI cited by Wealth Management magazine. Regardless of any regulation, advice firms should have such plans in place, and a rule could “accelerate those kinds of efforts,” Karen Barr, president and CEO of the Investment Adviser Association, tells the web publication. She adds that under the Compliance Program Rule adopted in 2003, advisors are required to have business continuity plans, Wealth Management writes. Furthermore, last April, the North American Securities Administrators Association began requiring advisors to have continuity plans, according to the web publication. But the SEC proposal would also require firms to have transition plans, Wealth Management warns. Brian Hamburger, founder of MarketCounsel and the Hamburger Law Firm, echoes Barr, telling the web publication that the proposal will “increase the velocity of the conversations around this topic.” But he adds that succession planning is a tough discussion for advisors to have, because it involves dealing with their own mortality, Wealth Management writes. Nonetheless, Hamburger says there’s an increasing number of cases of unexpected absences of a firm’s principal, according to the web publication. Does Betterment’s Line on Its Post-Brexit Halt Make Sense?